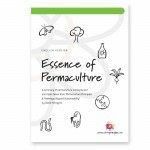 One of the critiques of permaculture is that, in attempting to be a theory of everything, it has failed to contribute real progress on any of the manifold fronts it addresses. Had Mollison and I spent our lives planting, managing and selecting oaks and bunya bunyas, we might have made a greater contribution to a benign energy descent future. On the other hand, we have inspired many others, a few of whom have contributed significantly to the still very slow expansion of knowledge of, breeding, and use of tree crops. Peter Brew was one of those few, a keen observer, independent thinker and energetic practitioner whose potential to contribute to a better energy descent future for humanity through tree crops, was cut short by personal misfortune exacerbated by an affluent but ignorant society unable to recognise, let alone reward, his genius. 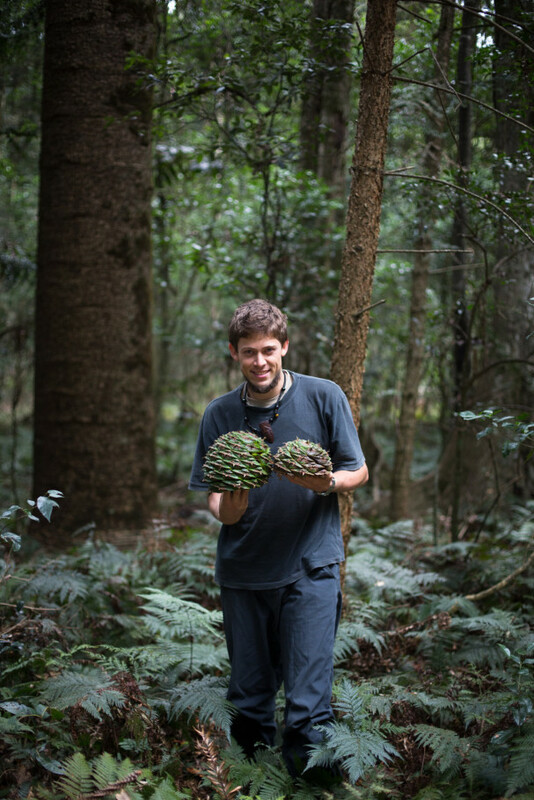 When Oliver and I harvest the first nuts from the Spring Creek Community Forest grove, I will start a new nursery bed to contribute to the hybrid vigour of the future bunya bunya groves of southern Australia to honour Peter’s contribution to an abundant future. You can download the article Reverence for the bunya bunya (full text). 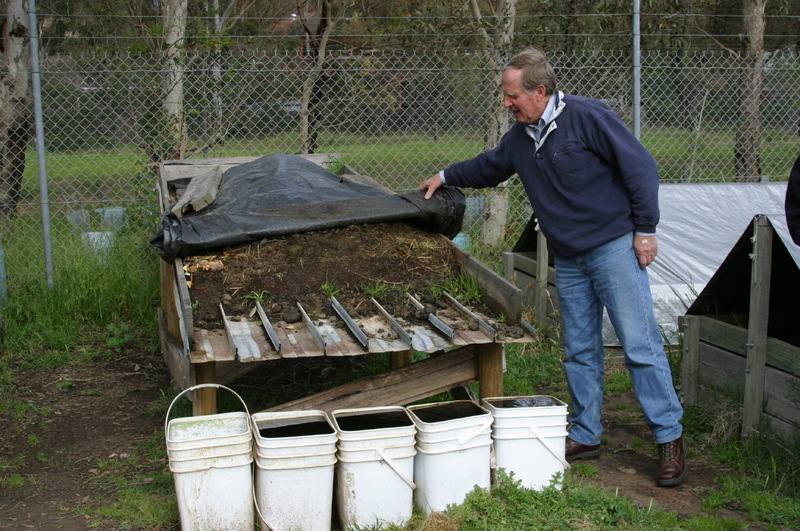 Errol Mutch explaining the worm composting system at Edendale Farm August 2003. 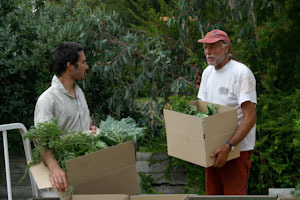 I never knew Errol very well but from my first meeting in the early 1990s when he was the manager at Edendale City Farm in Eltham. 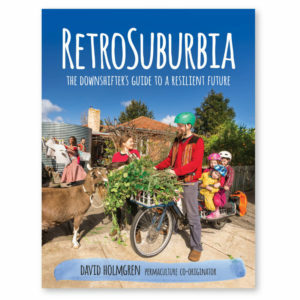 I was impressed by the man, and what he and Cheryl had done to transform Edendale from an derelict animal pound to a great example of progressive environmental education. From that first time I was shown around the farm (as a consultant to the shire council) to hearing him sprouk to groups of school children or the public at field days, I recognised Errol as having that rare combination of decades of farming experience with a passion for biodynamics and permaculture that I was more used to seeing in young environmentalists from urban backgrounds. 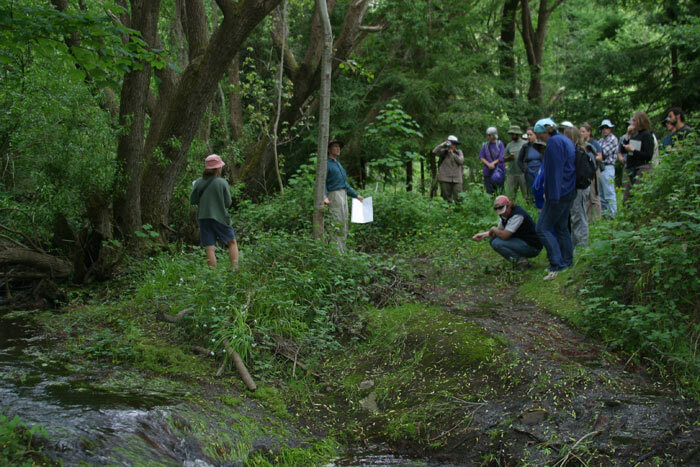 The development of Edendale as a public environmental education facility was of course shaped by all the usual factors of funding priorities, politics, bureaucracy and fashions but it also showed the care and attention of Errol and Cheryl’s stewardship that we usually associate with a well loved and cared-for private property. The animal systems in particular were exemplary in not only their good management but also in the significant contribution to maintenance of working strains of heritage rare breeds. 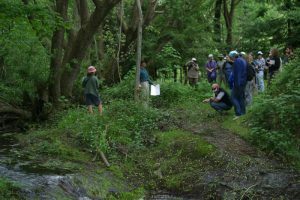 It was a tragedy of the times that this work was never recognised for its significant contribution to biodiversity conservation as defined by the UN Convention on Biodiversity. 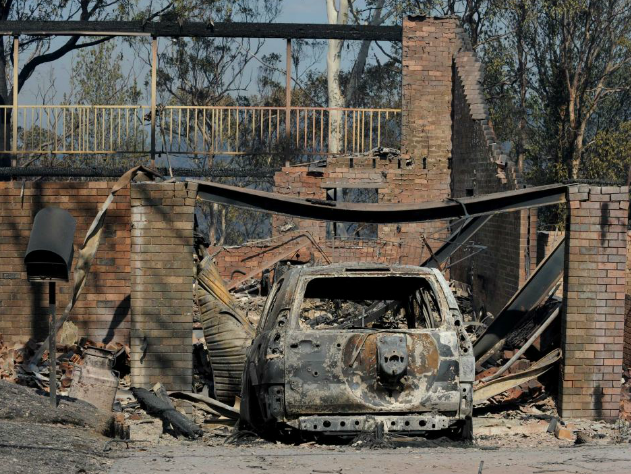 More than lack of recognition the progressive common sense environmentalism that Errol has demonstrated was undermined and dismantled by bureaucrats reflecting the “nativist” version of biodiversity that was so strong at Nillumbik shire council at the time. 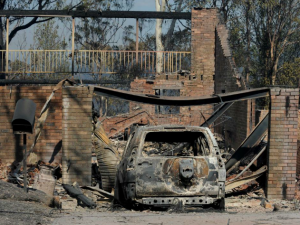 …..the best examples of the pragmatic and productive approach to sustainable land use, such as Edendale are subject to constant erosion by a nativist orthodoxy which dominates all levels of policy making and environmental education (not only at Nillumbik) It seems ironic that the “state of the art” cost effective land and water management at Edendale with multiple environmental and social value outcomes is to be downgraded while much more expensive indigenous revegetation programs with questionable and unproven water quality and other environmental benefits are retained and reinforced. The proposed removal of pigs from Edendale and downgrading of the poultry breeding systems without reference to independent evaluation by those with expertise in city farms is analogous to planting oak or pine trees in the shire’s best wildflower reserve without consulting experts in remnant indigenous biodiversity management. Edendale is one of the last places in Australia where a functional strain of the Australorp poultry breed is being maintained. This is an Australian contribution to domesticated animal biodiversity and incidentally most of the original breeding and maintenance of the Australorp was in Nillumbik (at Research). Under the UN Convention on Biodiversity this flock constitute “threatened in-situ domesticated biodiversity”. Therefore Australian governments have a legally binding responsibility to conserve this flock. 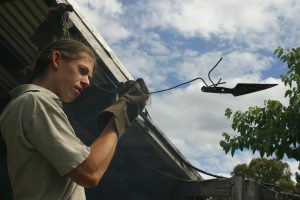 While these responsibilities are not well known (your environmental staff may not be aware of this) it is an opportunity for Nillumbik to apply for funding to support the excellent biodiversity conservation work at Edendale. 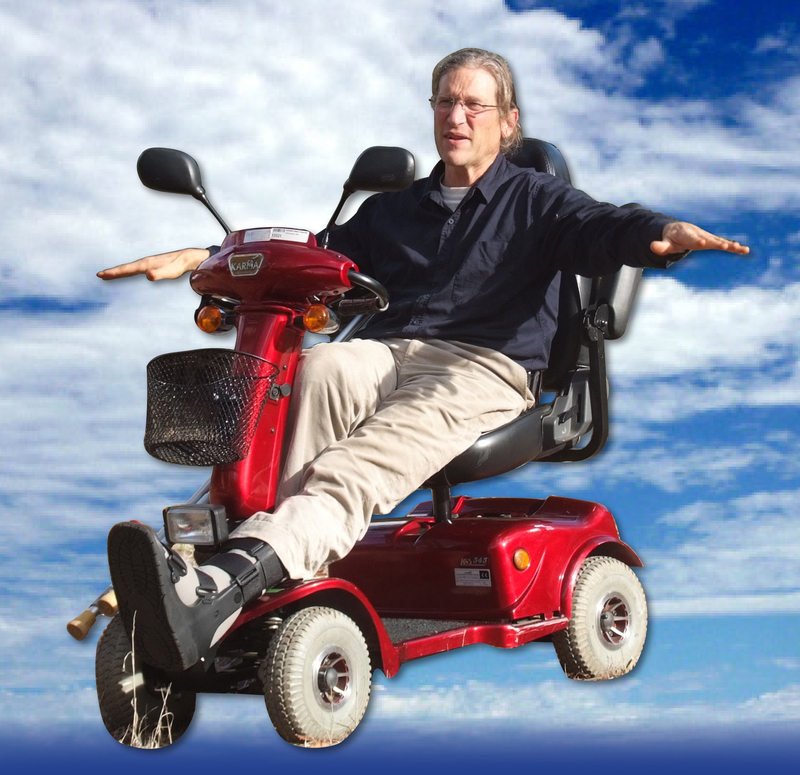 I remember Errol as one of those rare “salt of the earth” natural environmentalists, who charted his own path in working with nature though the difficult decades when such ideas were rare and ignored, to then find a collegiate network of like minded people through the biodynamic, organic and permaculture networks, and finally to become a wise elder inspiring children and adults to find their own path in working with nature.